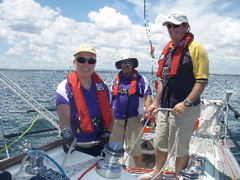 ROARING FORTIES™ SMA1060 Maxi series Inflatable PFD Type 1 with Deck harness is made in Australia in its entirety. 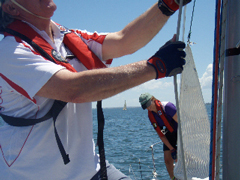 It is Australian Standards Approved as a 150 Newtons PFD. However, it has a buoyancy in excess of 186 Newtons. 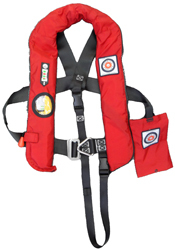 This PFD is approved to AS4758 & ISO 12402-3 and the deck harness is approved to ISO12401. 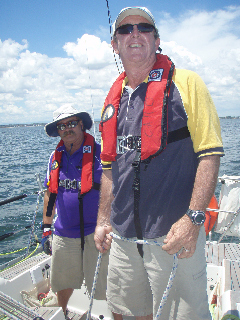 It is also approved as a USL COASTAL lifejacket by Marine Safety Victoria. The SMA1060 series has similar design to the inflatable life preservers Safety Marine Australia manufactures for the Australian Army (light Infantry), Australian S.A.S. and Australian Commandos. The SMA1060 Maxi Pro series comes with a window armed with the latest UML Pro Sensor operating system providing the user to visually check the status of the CO2 gas cylinder and the condition of the auto cartridge.